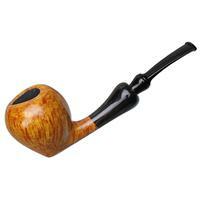 Though born in Newport News, VA, American pipemaker Abe Herbaugh called West Virginia his home for most of his life. 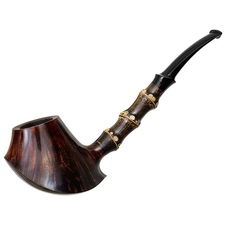 His decade-long vocation as an electric guitar builder and skilled repair expert of the same, has inculcated within Abe the necessary woodworking/ machining skills and an acute eye for the smallest of details. Even his avocation, that of a long distance hiker, has imbued Abe with both an unwavering determination as well as a "never settle" mindset, which is already serving him admirably as a pipe artisan. 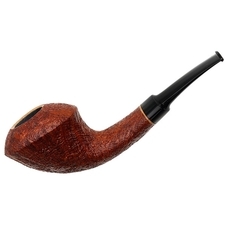 Abe's early memories of rich pipe tobacco in the air, and the way a relative of his looked when he smoked it, kindled a desire within the youth to become a pipe smoker himself, in turn leading eventually to thoughts of trying his hand at the craft of creating them. 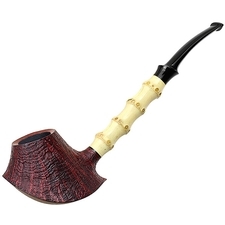 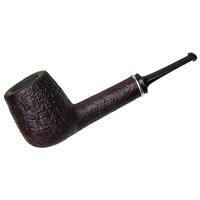 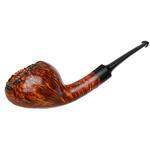 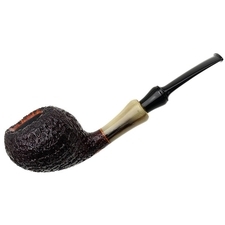 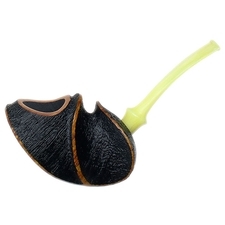 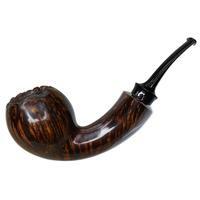 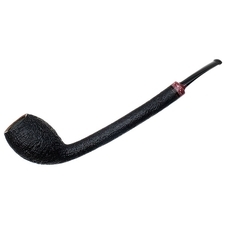 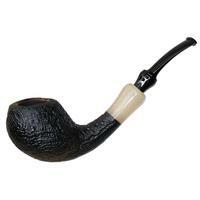 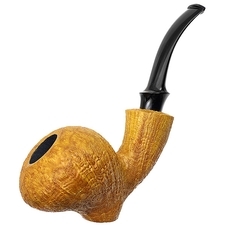 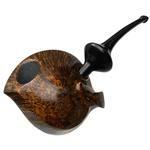 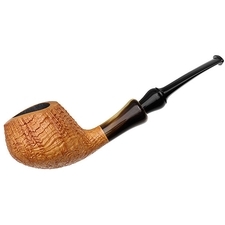 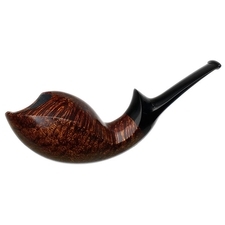 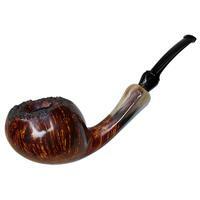 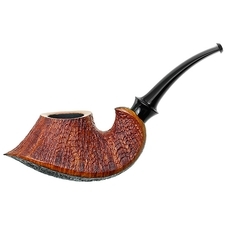 His first pipe was carved from a random block, utilized a pre-cut stem and was (in his words) "an unmitigated disaster." 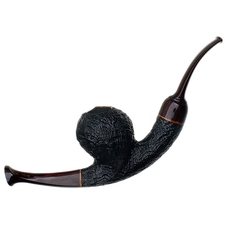 For his subsequent work, he used his father's fiddle workshop. 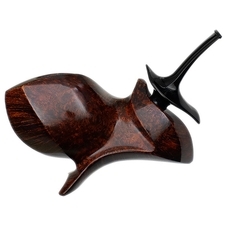 Today Abe primarily crafts his pipes from Mimmo briar, hand-shapes his stems from ebonite, and drills his draft holes to 5/32." 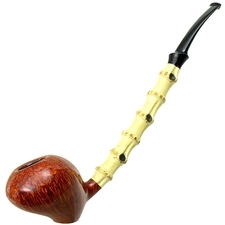 While his learning of the craft has been overwhelmingly autodidactic, Premal Chheda, having picked up one of Abe's pipes as an estate, thought that Abe had talent, and invited Herbaugh over for a few days to show him some of the tricks of the trade — an encounter which Abe says helped his progress immensely. 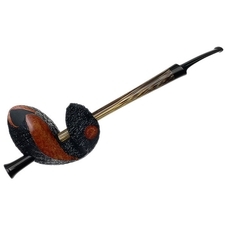 Abe recently moved to Vermont to work for Steve Norse at Vermont Freehand, a one-stop shop for all pipe making supplies — a resource that's allowed Herbaugh access to the finest vulcanite rods and accent materials, especially bamboo.